WOW! Cheap flights to Indonesia: Bali for only €349! 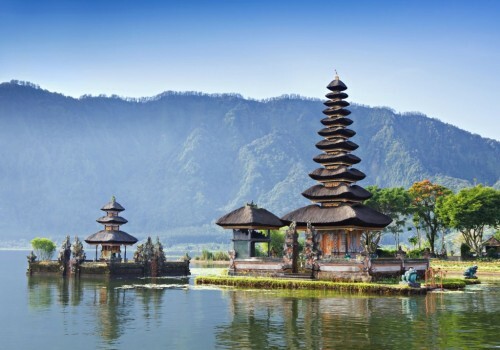 UPDATE 23.3.2019: Super cheap flights to Bali available from Amsterdam for only €349! Travel dates in September/October 2019 e.g. 22.9.-6.10. or 26.9.-9.10. Standard 23 kg luggage included in the price. BOOK NOW, check screenshot. If you want to visit beautiful Bali, wait no more! Return flights from Amsterdam to Bali (Denpasar) are now available for only €381! Standard price to this destination starts at €600! Travel dates are from November 2016 to February 2017 which is perfect time to escape Winter in Europe. There is 1 stopover in Xiamen in China. How to get to Amsterdam? You can take cheap Flixbus buses from almost any city in Europe or buy connecting flight – use the search form on the right side to find the cheapest flights. If you look for accommodation book cheap room through AirBnB – get free €20 credit! Book fast, this won’t last long! Check also our Top 15 interesting and fun facts about Bali! Bali offers all kinds of accommodation from cheap hostels for budget travellers to super luxurious suites in 5 star hotels for really good prices starting at few Euros per night. AirBnB is another popular method for cheap accommodation. « WOW! Super cheap flights to Australia: Sydney for only €483!